The best case I've ever had... it isn't huge; air flows easily through the case; it isn't ugly; the top is flat; everything fits; the USB connectors are USB 3.0; it's inexpensive; and it has a nice side panel window! Easy to cable manage. Easy to build in. Kinda hard to work in due to the size of the inside. Other than that, it looks great and keeps my system cool. Also, i love the side panel. Liked that it came with 2 fans and a red LED. 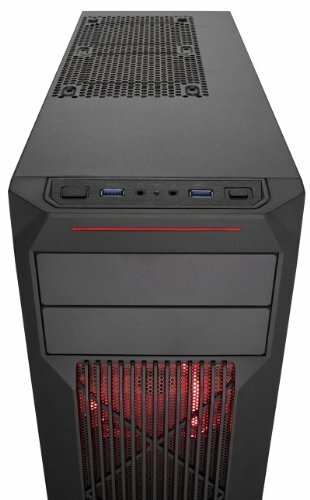 A great price for a quality Mid Tower Case. It's a little narrow, but have read that it can still fit a Hyper 212 EVO. Easy to bulid in and a nice side bulge that aids in cable management. Side-window panel is a nice feature that I'm really glad it has --- personally unless I was going for a silent build I love to look at the components through the window. No speaker, but other than that it looks aggressive, has great cable management, and lots of fan mounts. A remarkable case from Corsair. This is a great budget case. It has some metal screen filters (just to keep large particles out), but that's it. Cable management works well. It fits a Hyper 212 EVO, but just barely. I did not buy the case new, so I cannot speak to the factory installed fans. There is not much in the way of vibration dampening on the hard drive caddy. The side window could be further to the rear to show off more of the components and hide the hard drive caddy. This is a clean case with nice led accents on the fan and front. It comes with two USB 3.0 slots, a headphone and mic jack, a power button, and restart button. It comes with two 120mm fans, one with a clear blade and red LED light. The case is large enough to fit everything you want and has places to add multiple optical drives, storage drives, and 3 additional case fans. I wanted something basic and at the same time, functionally decent. This is alright for people who want the best in both worlds of aesthetics and functionality. It even has a side window to show your console-playing friends how much of a **** you are. NEAT! It has two 5.25' drive bays, so you have those options. 3 HDD bays for all your dank memes and games, and a bonus two 2.5' drive bays, so SSD organizing is a breeze. 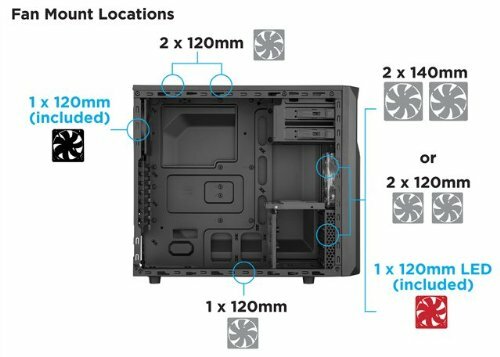 7 places to apply case fans, if you wanna play some heavy games but you wanna keep the inside frosty. 2 USB 3.0 headers for a quick plug-in plug-out functionality and a mic and audio jack for those moments when the meme is just to dank that it might trigger someone near by. 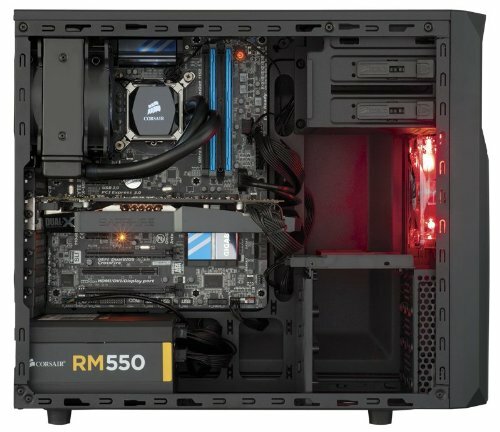 All in all, a great case for those who just happen to be a noob in PC building. This is a great case as long as you dont get a bit of an odd one like I did, By that I mean there were a few minor things wrong (Both fans that were provided with this case are dead, barely spin if at all(Checked fan manager, theyre dead) one of the tabs on the front panel broke off, but still works just fine.) still a pretty great case and am hoping for it to last until the next one.